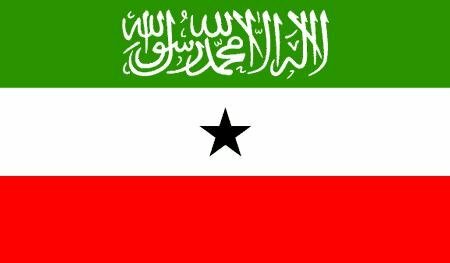 An agreement was reached Between Somaliland President Silanyo and militia commander Hagaltosie to bring peace to the Buhodle and Sool regions. The Buhodle peace accord between President Silanyo and Commander Hagaltosie is now under implementation. This outcome follows the arrival in Buhodle town of Mr. Suleiman Isse Ahmed 'Hagaltosie' where he informed thousands of residents that he is determined to secure peaceful co-existence in Buhodle and Sool region. The former SSC militia commander who is returning home following a month's long sojourn in Dubai, Kenya and Puntland told the multitude of his welcoming committee at the outskirts of Buhodle town that continued clashes with the national army have proved fruitless thus peaceful reconciliation with the Government in Hargeisa. Said he, "There are a number of people who are against peace while clashes have not benefitted them, while our people continue to suffer"
Mr. Suleiman Hagaltosie who informed that the anti-peace elements will no longer be consulted, said, "Since it is the people who suffer they are the ones to decide and as attested here, they have opted for peaceful reconciliation with the Somaliland government". While urging for peaceful resolution to grievances of the Buhodle residents and those from other parts of Sool region, the president said, "Continue armed clashes only exacerbate the suffering of residents who are denied development projects that would uplift their livelihoods"
Hagaltosie promised that on return to Buhodle he will immediately embark on disbanding his militia and handing over the assortment of weaponry at his disposal to the government, Said he, "After disbanding the militia I will facilitate for talks with the government as agreed with the President.